The Sunday Times list of the young, (not that) gifted and rich reminds us that there is money to be made in the music business. Despite all the doom and gloom about downloads, the death of the record shop and the decline of the major labels, there is still plenty of cash to be made if you can churn out the sort of accessible, unthreatening music that enjoys global appeal. 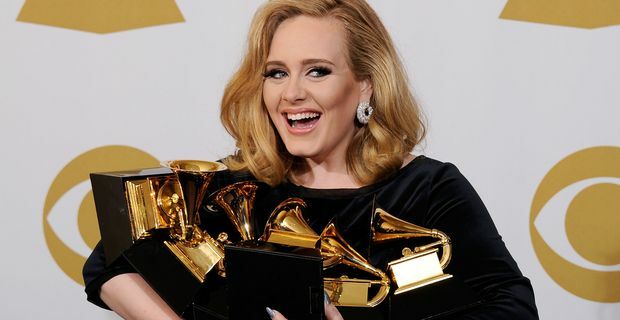 Adele remains one of the most significant contributors to Britain’s export figures. She’s worth about £30 million, and, given her previous bleats about her tax bill, will have welcomed the government’s reduction of the highest rate of tax so that strivers like her can have more spending money to splash on big frocks for the Grammys. Cheryl Cole has a mere £14 million to her name, her cash reserves seemingly limited by her inability to hold down a job as a talent-show judge and her insistence on devoting herself to singing, which obviously comes quite a long way down a list of her "talents". Another talent show alumna, Leona Lewis, is third in the list, with a surprising £12 million to her name, an example to us all of what can be achieved with a powerful if inexpressive voice and a massive marketing push. A host of unexceptional female vocalists, Katie Melua, Florence Welch, Charlotte Church, Jessie J, Lily Allen, Duffy and Nadine Coyle are all jostling around in the £6 million to £10 million bracket. The message to the boys is that it pays to be a solo act. The lads have to share their cash amongst the boyband members. Not that they will complain too much. The members of JLS are worth £6 million each, while the five members of One Direction are worth £5 million each. That seems surprisingly low considering 1D’s global supremacy, but the not-just-pretty-faces have been very astute about minimising the tax liabilities on their income.